Like Bison? 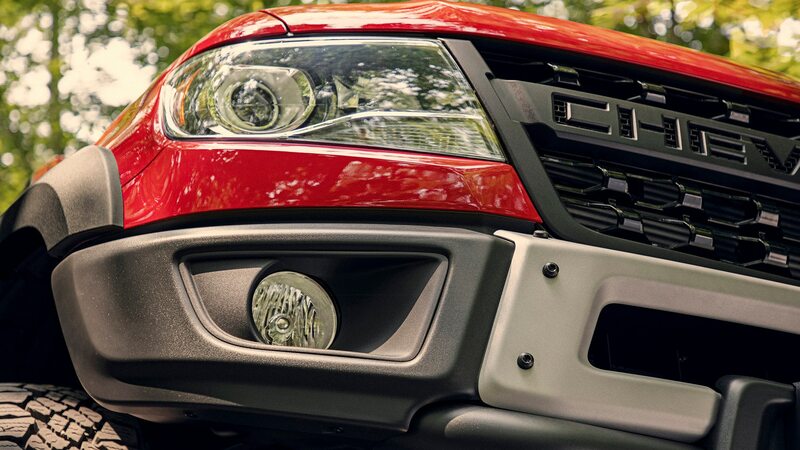 Then you’ll love the all-new 2019 Colorado ZR2 Bison midsize pickup truck. The new performance variant was revealed today and is Chevy’s latest collaboration with American Expedition Vehicles (AEV). 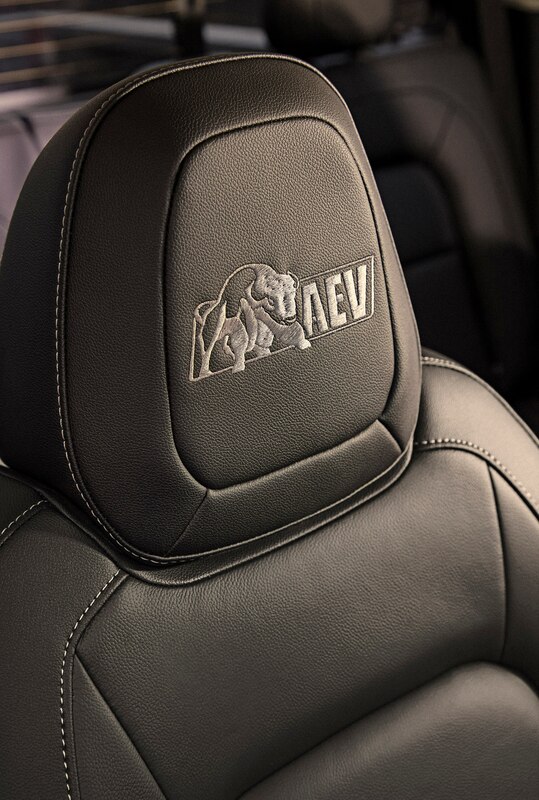 If the Bison looks a little familiar, Chevy and the off-road aftermarket manufacturer brought a version of it to the annual SEMA show last year. 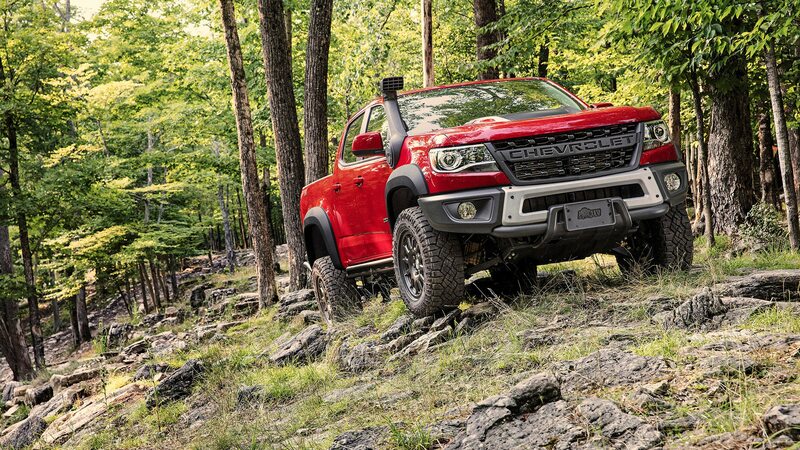 The ZR2 Bison receives the full equipment list of the Colorado ZR2 and includes off-road rocker protection, cast-iron control arms, and an Autotrac transfer case. 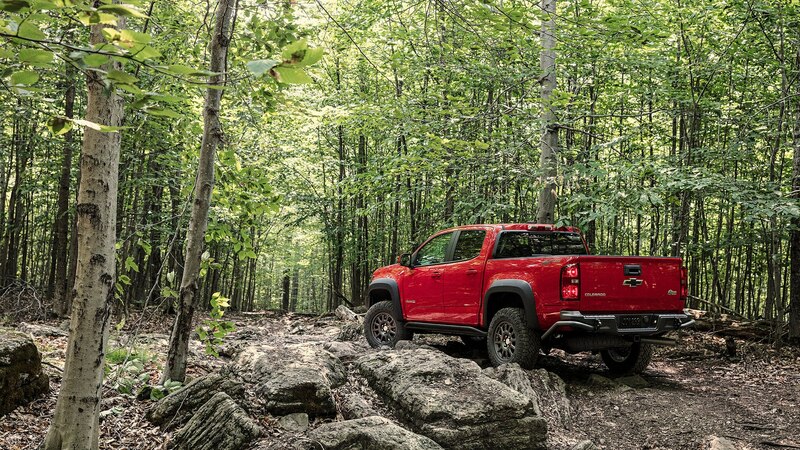 Like the ZR2, it features a modified rear axle with a 3.42 ratio, front and rear tracks widened by 3.5 inches, and a factory suspension that is lifted 2.0-inches over a Colorado Z71. 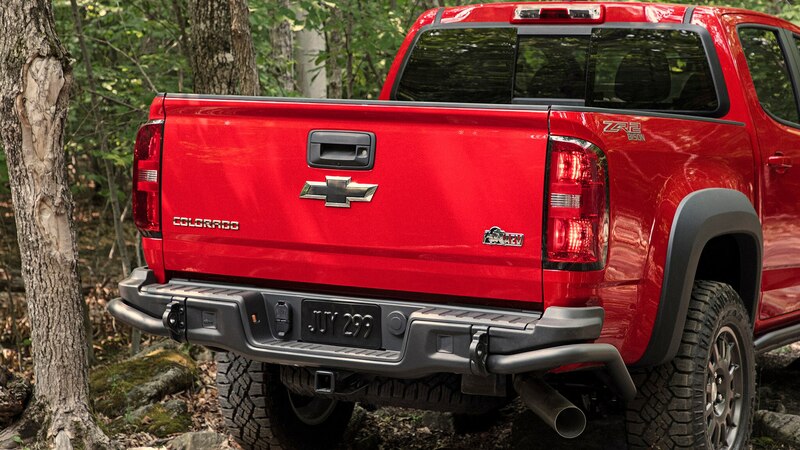 Up front gets an exclusive, flow-through “Chevrolet” lettered grille that replaces the traditional bow-tie and the black grille is flanked by larger fender flares in the same shade. 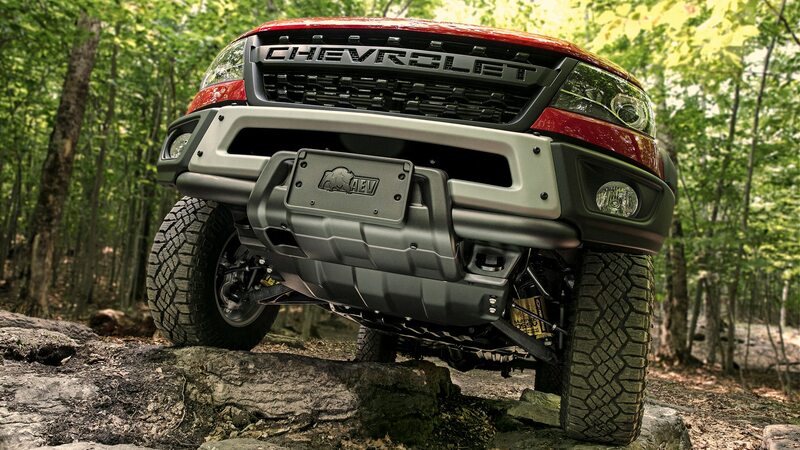 Chevy’s latest truck features five Boron steel skid plates designed by AEV that cover the engine oil pan, fuel tank, transfer case, and front and rear locking differentials for extreme off-road hi-jinks. Plus, there’s an AEV-designed stamped steel front bumper for winch provisions and fog lights and a rear bumper with integrated recovery points. The beefy Bison rolls on 31-inch Goodyear Wrangler Duratrac off-road tires wrapped around 17 x 8-inch aluminum wheels. 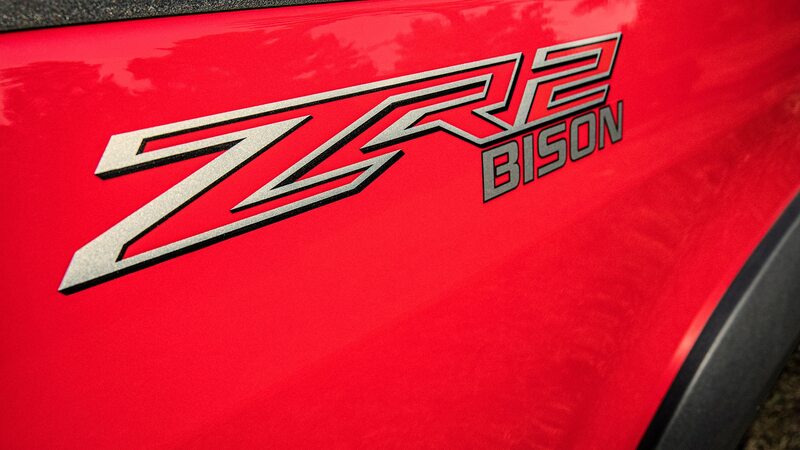 Under the hood, the ZR2 packs a naturally aspirated 3.6-liter V-6 engine that makes 306 hp and 275 lb-ft of torque. The six is mated to an 8-speed automatic transmission. Optional equipment includes a 2.8-liter Duramax Turbo-Diesel I-4 engine that delivers 186 horsepower and 369 pound-feet of torque to keep things interesting. 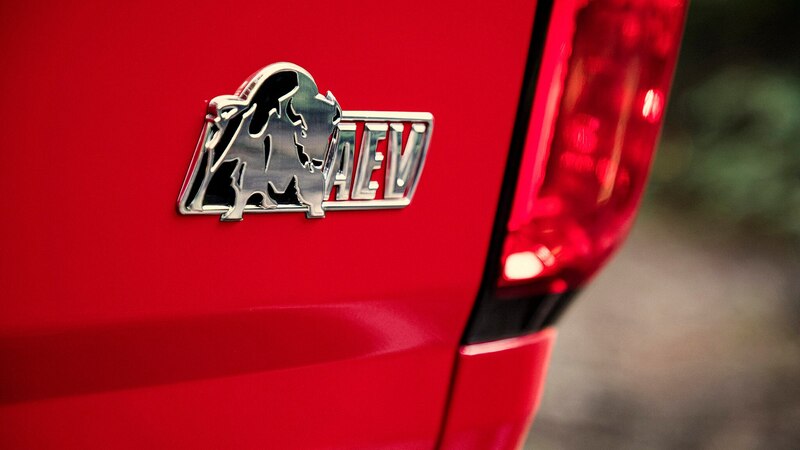 The diesel is mated to a six-speed automatic transmission. Also, there’s a choice of crew- or extended cab configurations, and an accessory snorkel from AEV. Pricing hasn’t been announced, but we imagine the Bison will command a premium over the standard ZR2’s $43,495 starting price. 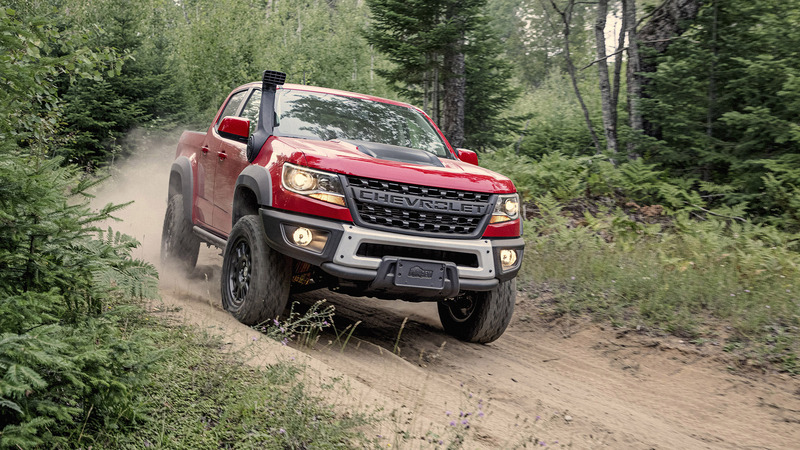 The 2019 Colorado ZR2 Bison goes on sale in January.